Squamish Village, British Columbia, Canada is a small mountain community surrounded by big adventures and entertained by wilderness attractions. Visitors arriving to Squamish from Vancouver are first greeted by the massive Shannon Waterfalls and the towering Stawamus Chief. The Squamish Village rests on the cusp of Howe Sound, where the Squamish River meets the Pacific Ocean. Attractions, adventures and activities most enjoyed in and around Squamish, BC, Canada and the surrounding areas includes rock climbing, mountain biking, hiking, fishing, golfing, canoeing, kayaking, wind surfing, birdwatching, flightseeing, kite surfing, boating, ice caving, snowmobiling and xc skiing. A few of the more popular, some would say best, activity destinations and sightseeing highlights located in and around Squamish, British Columbia includes the Shannon Falls Provincial Park, Stawamus Chief, Smoke Bluffs, The Spit, Brackendale Eagle Reserve, Squamish Estuary Trails, Garibaldi Provincial Park, Four Lakes Trail, Brohm Lake, Discovery Trail, Alice Lake Provincial Park, Cat Lake and the Sea to Sky Gondola. What are the Accommodations, Services and Amenities in Squamish, BC? Squamish Village connects you to places to stay, services and amenities important to travelers. 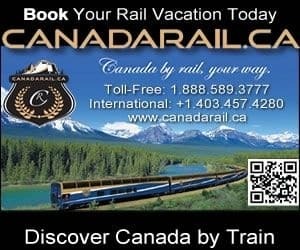 The services and amenities include accommodations (hotels, motels, inns, bed and breakfasts (B&Bs), vacation homes, cottages, cabins, lodges, hostels), spas, campgrounds, tours, guides, outfitters, attractions, rental shops, nightclubs, restaurants, laundromat, coffee shops, grocery stores, pubs, liquor store, banks, gas station, gift stores, and internet service. There are sightseeing attractions, historical sites and cultural events in and around Squamish British Columbia. Some of the top museums, art and culture to visit include the West Coast Railway Heritage Park, Brackendale Art Gallery Theatre Teahouse, and the Britannia Mine Museum. How Do I Get To Squamish British Columbia? Transportation services getting to and from Squamish, British Columbia include the main road of course (Hwy 99), and then there is a taxi, bus, marina, car rentals, aerodrome, rail, floatplanes and the Squamish Airport. eh! Plan to Visit Squamish, BC today.